Organized by ICC (International Cricket Council) once in every four years, Cricket World Cup is one of the biggest tournaments in men's ODI cricket. Cricket World Cup, also know as ICC World Cup and ODI World Cup, is the fourth largest and most viewed sporting event in the whole world. Organized by ICC (International Cricket Council) after every four years, this tournament dates back to the year 1975 (when it was played for the first time in England) and is regarded as the leading international championship of men's One Day International (ODI) cricket. 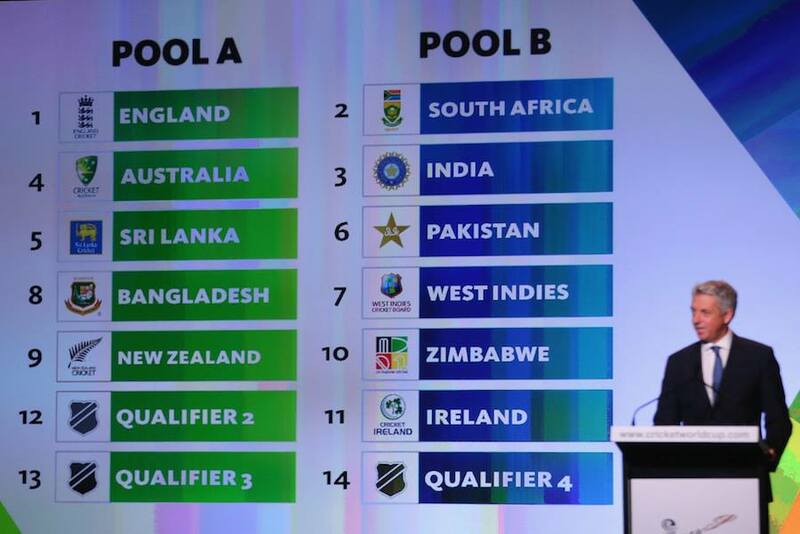 The participating teams include each one of the ten Test-playing. Apart from that, the nations that qualify through the World Cup Qualifier are also included as the contenders. Till date, ICC World Cup has been organized ten times (with the last tournament being held in Asia ie India, Sri Lanka and Bangladesh in the year 2011 and won by India). Out of these ten tournaments, the Australian team has won the most times i.e. four, followed by the West Indies and India team with two wins in its hand. Pakistan and Sri Lanka, each of the teams has won the World Cup only once up till now. India is current Champion. The next ICC Cricket World Cup is scheduled to be held in the year 2015, with Australia and New Zealand playing as the hosts. 14 teams participates in 11th Cricket World Cup. The Final of 44 days tournament will be hosted at Melbourne Cricket Ground. ICC unveiled the Logo of ICC Cricket World Cup 2015 after the final of ICC Cricket World Cup 2011 on 2 April 2011.